I’ve seen a number of mahou shoujo/magic girl anime titles (and their parodies) during my time as a fan — Cardcaptor Sakura, Mahou Shoujo Pretty Sammy, Sasami: Mahou Shoujo Club, Mahou Shoujo Lyrical Nanoha (and sequels), Mahou Shoujo Tai Alice (Teeny Witches), Dai Mahou Touge (Magical Witch Punie-chan), Nurse Witch Komugi-chan, Po-Po-Tan, Puni Puni Poemi, Ground Defense Force Mao-chan, Ultra Maniac, and maybe a few others I’m not remembering. One mahou shoujo series I’ve not watched is Puella Magi Madoka Magica, which never appealed to me and for which I could be burned at the stake for not watching (’cause EVERYONE should have seen it, from what someone jokingly told me a while back). ^_~ I do know enough to know that it is a dark and disturbing series. That brings me to this image I found on a Japanese message board. 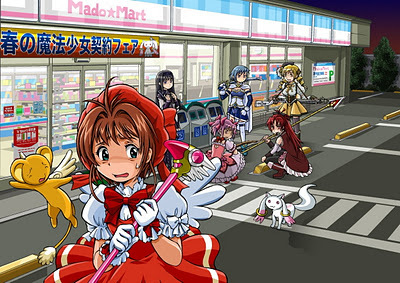 Even without having seen Puella Magi Madoka Magica, the commentary (and humor) of the above image is striking in how far the mahou shoujo genre has come (or gone, depending on your point of view). For the most part, Cardcaptor Sakura was pretty light in terms of content with its controversial materials stemming from the original manga, where CLAMP declared that no romantic-sexual pairing was off limits, including adults in such relationships with children. ^_^; The anime softened this element up somewhat. Compare that to Puella Magi Madoka Magica and its pretty dark content (not sure if there are any controversial materials in here or not). Regardless, I found the above image amusing and thought I’d share with you guys. Comments on either Cardcaptor Sakura OR Puella Magi Madoka Magica are most certainly welcome. Just make sure to clearly mark SPOILERS if you feel the need to share. and what, pray tell, makes Madoka Magica dark? I was browsing though konachan a while ago and ran across this wallpaper. It looks like they grew up not quite the way it would have been a decade ago though. Its a decontruction of the magical girl genre. Its very hard to say what makes it so dark w/o spoiling parts of it. Nights says part of it — the deconstruction of the mahou shoujo genre. From what I’m told, being a mahou shoujo in this world is not something you want to really be. It isn’t pretty; it isn’t light nor fluffy; it deals with madness, despair, and other dark elements. If you like that, I hear this anime is very good. I’m just not wanting to go into such dark realms for now. Your share has made my day, thanks! Also, it’s produced by Gen Urobuchi, the guy who wrote the Fate/Zero novels and is known for his dark stuff. If you can stomach all of that, Madoka is a very good anime. im currently watching fate zero and am disappointed that it hasnt been more of a blood bath, its just been drivvel with lots of talking and no action. Actually, I didn’t but I looked it up. I’m sure I could stomach it and would be fine, but of late, I haven’t been in a mood to watch nor read dark stuff. I have to be in the right mood to go dark. Well, those other magic girls are from a pretty dark and messed up series, which is why so many like it. 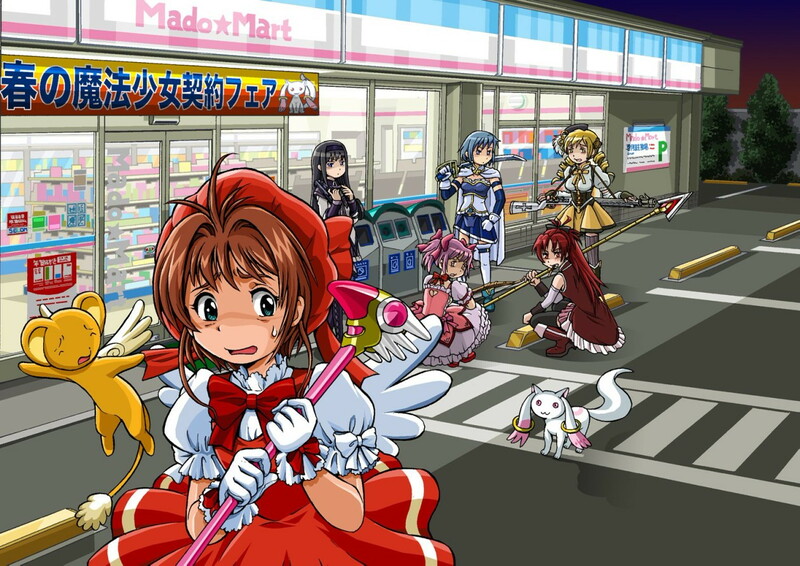 The mahou shoujo genre has come a long way.